Is there a way to win at bingo? Bingo is one of the most popular activities in the United Kingdom. What was supposed to a fun activity to do during leisure time has now become one of the most beloved activities of the nation. In fact, as reported by The Mirror, bingo is now popular than tennis - the number of people playing bingo per month is 1.9 million, while those involved in tennis per month add up to 1.7m. 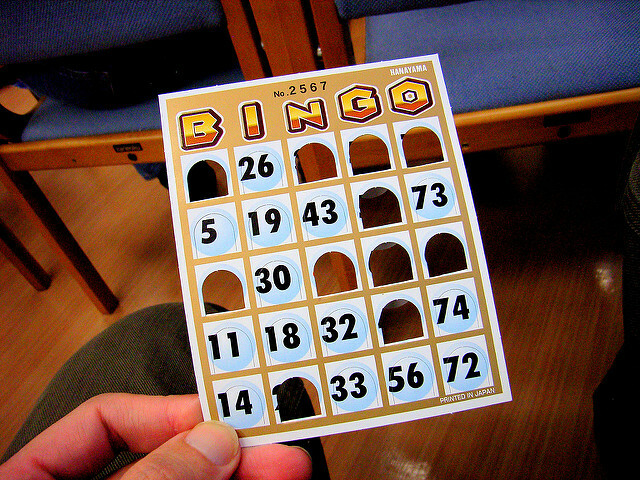 If bingo was a sport and not a game, then it would be the sixth most popular sport in the UK. Bingo is a game of probability, a game of chance; for most, it is just about hoping that the random numbers that are called out match those that you have on the cards. Joseph Granville thought otherwise and devised a strategy he thought could help him win at bingo. Granville was a successful American stock market investor who wanted to find patterns in the random numbers that are drawn to make successful predictions. The same number of numbers ending in 1s, 2s, 3s, and so on will be drawn. A balance between the number of odd and even numbers drawn will exist. A balance between high and low numbers picked exists. If Granvilles findings are to believed, then card selection is key to winning in bingo. According to the law of probability, there is a strong tendency for a number ending in 1, then 2, then 3, to be called. This means that it would be a wise idea to play with cards that have the widest possible range of final digits on them. According to Granvilles studies, 60% of first 10 balls picked up feature different last digits. According to Granvilles studies, 60% of first 10 balls picked up feature different last digits. This means that if you want to increase your chances of winning a bingo game, you should select cards with as many numbers that are as different in the second digit as possible, meaning that cards with numbers 12, 22, 32 and so on should be avoided. Granville's theory applies to a 90-ball bingo as well..
Another theory on how to win at bingo was proposed by English mathematician L.H.C Tippett. It is a complex theory about randomness according to which the more numbers are called in a wheel-of-balls game, the most likely those numbers will move towards the median number. This means that if it is a 75-ball bingo long game, you should choose numbers closer to 1 and 75. Aside from the traditional 90-ball bingo, the 75-ball bingo and the 80-ball bingo, with online and mobile bingo sites flourishing there has been an increase in the number of variants available for players. At at a site like Sun Bingo, popular bingo games include Cash Cubes and Rainbow Riches Bingo. Sun Bingo is also home to an interesting variant of the bingo game, based on popular TV show Deal or No Deal. Another unusual variant is Cover All, which rewards the first player to cover all the spots on their bingo card. What is interesting in this game is that there is only one winner. In Four Corners, the player who covers their bingo cards four corners wins. It might be worth trying to implement Granville's and Tippett's theories on these variants to see if they work.